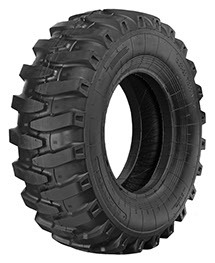 Ideal tyre for wheeled excavators, with excellent traction, high resistance and stability and perfect run in high speed transfer. It offers high safety and an excellent performance in all working conditions. The central design of the tread pattern, slightly overlapping, prevents the typical vibrations arousing when the excavator runs on paved surfaces.